Greetings Nihon Goshin Aikido Aficionados! A message from Sensie MacEwen: If you are a Sho-Dan or above in the Nihon Goshin Aikido Association. Here is a date you might want to put in your calendar. 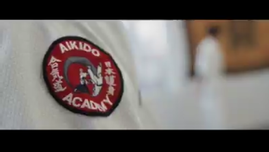 On Saturday May 18th from 11am to 2pm Shihan Bowe will be holding a class at the Aikido School Of Self Defense in Middletown NY. Please get your name on the list because space is limited. 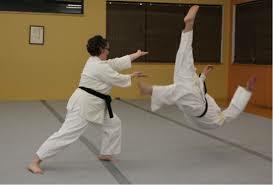 You can call the Aikido School at 845-343-2070 and leave your name that you will be attending. Got your taxes done yet? Quick point on that topic. Beginning in 2018, the 1040 EZ, and 1040A, were eliminated and the 1040 long form was simplified, in what amounted to a huge simplification/ adjustment to income tax reporting, so your tax return will look a lot different when you pick it up from your CPA in a few days. It was a change a long time in coming, and with the tax break on top of it ~ it has been quite a blessing. What a burden lifted! Other Tax Points: Never measure your satisfaction with how much you are paying in taxes by the amount of your refund. This is a sophmoric understanding of what is happening. A refund is simply the amount you overpaid the government in the first place ~ so the goverment had the use of your overpayment (refund money) for the greater part of a year without having to pay you any interest. Getting a big refund is nothing to celebrate... as you simply let the government use money that was rightfully yours for the whole year. Me personally, I'd rather owe the IRS money at the end of the year than get a refund. In some years, I have written checks on April 15th in excess of 15 - 20k (which means that I used 15k - 20k of the government's money without having to pay them interest). A much better deal. Finally, the most important line on the entire 1040 form is Line: 15 (Your Total Tax). This is the amount of tax you owe the IRS. Compare that line to last year's total tax line, and you can see what your tax liablility is relative to last year and relative to last year's income. The Implication of Taxes and Their Associative Limits to Individual Freedom. It's generally around tax time that many people question the function and purpose of government. "Why am I paying the Feds all this money?" I am a firm believer in less government and less government spending. I think it is something we need to seriously look at. Furthermore, the citizenry must also realize that a government that spends less must also do less for its constitutients. Of course, this is an advantage to the individual as a goverment that does less naturally expands individual responsibility and individual freedom. Remember, when there is no risk of failure, there is limited incentive to succeed. So it is by default that the swan song promise of socialism fails. It eliminates the citizen's ability to fail, and simultaneously discourages his interest in acheivement. It capitalizes on envy, and generates laziness. The truth of the matter is that you can not live free in a country embracing socialism. 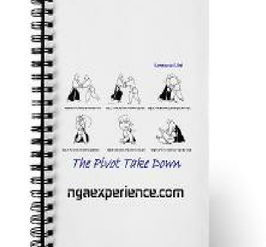 Aikido ~ NGAexperience.com's "The Official Uke Follow Me Guide: How to Be a 'Good' Bad Guy." Beginning last month, I began a series of articles discussing the aspects that all good ukes must manifest. The aim of every Uke is to be a "good" bad guy ~ we hope to highlight actions that promote that behavior in this ongoing series. Watch almost any generic aikido video you see on youtube, and it will typically be saturated with what I define as generally "unnatural" uke behavior. 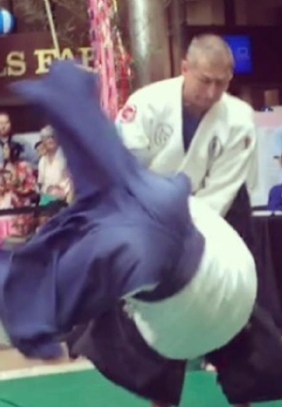 Now let me be clear, I am not being critical of the act of Aikido ukemi ~ the falls and rolls ~ or the act of receiving the technique. The falls are great ~ if not spectacular. When I reference unnatural uke behavior, I am referencing the simple fact that the attacking intention of uke is typically negligent in many respects ~ if not possibly even non-martial in many training scenarios and demos. Quality #2: The Strike should be delivered with a closed fist, as opposed to an open hand. In Nihon Goshin Aikido we train with a modern attack themed uke in mind. We do not water things down. From all the hours of real fight videos, it seems to me that there are zero instances of real fights posted on youtube where someone attacks someone else with a shomenuchi (chop to the front of the head) or yokemunch (chop to the side of the head) ~ see examples to the left. Have you ever seen anyone attack like that? I think we can all agre that the worst martial jab might be at least 3 times faster in arriving at your chin than the most martial shomenuchi strike you will ever see. If you are training for self defense, and I argue that is THE reason to train, you might as well train against realistic attacks, because reading a shomenuchi is painfully easy. The raising of the elbow that iniates a shomenuchi IS the jab. 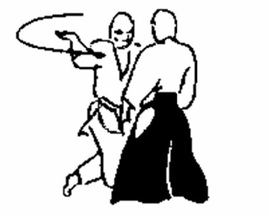 In other words, uke raises his elbow, and then swings forward strike. In a jab, the raising of the elbow is the strike, and more importantlythe fist is 16-18 inches in front of that elbow ~ so it is on you unbelievably fast relative to open handed alternatives. Of course Shodo Morita, Soke completely understood the nature of real street attacks and it for this reason that Nihon Goshin Aikido has incorporated closed fisted attacks in its general teaching curriculum since the very beginning. Formal bow. I once attended an aikido seminar where the instructor was working on teaching the group how to do an Arm Bar from a straight punch. Yawn right? Well ~ you don't know the half of it. The starting point for the arm bar application was uke placing a static closed fist on nage's chin. At no point in the seminar was uke allowed to actually "throw the punch." Sensei's reasoning? "I don't want anyone to accidently get hurt." During one of the breaks, a few guys at the seminar who were familiar with Nihon Goshin Aikido's realistic attacks wanted to see me do the Arm Bar from a straight punch application with a moving fist as opposed to one that was placed on my chin. These same guys had trouble throwing a real punch. "I don't want to hurt you." It was a laugh out loud moment (see Uke Quality #1: The strike should be on target). Doesn't it make sense that if you were training realistically, that every once in awhile, you might get clipped? I remember wondering how the Sensei leading the seminar could believe that he was helping anyone with this rudimentary level of training ~ and this was billed as an "advanced seminar." In next month's newsletter, I'll discuss Quality #3 ~ why uke's strike should be delivered with uke's conviction to stay in the fight (not tossed out there and immediately followed by a self inflicted flop onto the mat), in the "Uke Follow Me Guide." So my Mom retired from teaching this past fall, after serving around 50 years as a highschool drama teacher. After retirement, she took up researching our family geneology as a way to fill her new found free time. It's been very rewarding everyone. As it turns out, my 21st great grandfather is Robert the Bruce, King of Scotland (1274-1329). Crazy. No wonder I like watching Braveheart, as Robert the Bruce is helped a great deal by William Wallace. I wish you the best in your training this month, and take a breakfall for Scotland for me. Let's meet together on the mat and soon. I wish you the best in your training this month. Let's meet together on the mat ~ and soon! 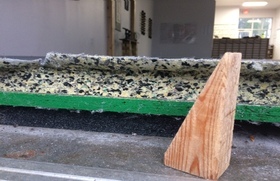 Bottom Layer: 1.5 inch closed cell foam blocks. This Should Be the Standard for all Aikido Flooring Systems. Spreading your inevitable impact with the mat over space(so that everything hits the mat at the same time) or time (so that a little parts of you falls from the sky at a time....). Want a Solid Arm Bar? This guy’s aikido makes me smile. This is what my Aikido looks like. Come and Start Training With Us Today. The Yokomenuchi is even slower and equally non- martial.